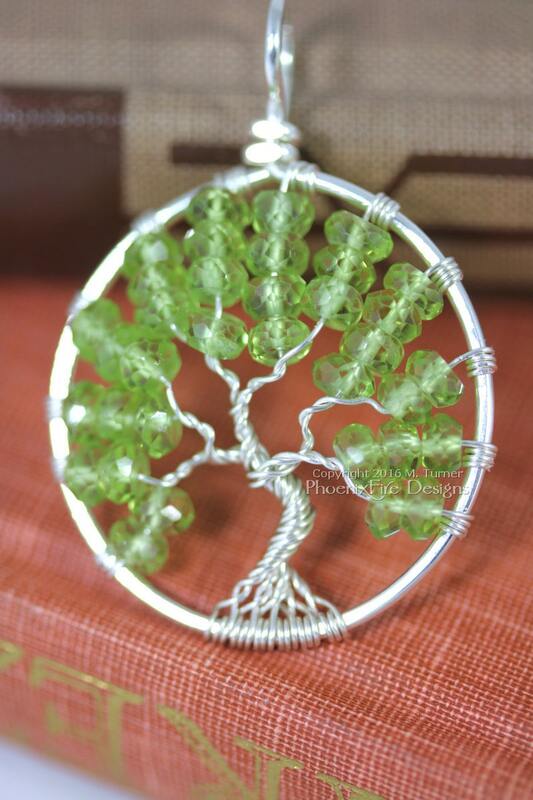 Tree of Life pendant in spring green peridot gemstone faceted rondelles silver wrapped jewelry to form a beautiful cosmic tree necklace with August birthstone. Birthday gift for her. This pendant is handmade using painstaking wire-wrapping techniques. Hand hammered non-tarnish sterling silver plated wire frames and encircles the pendant, and is then used as the roots, trunk and branches of the tree. The micro-faceted Peridot rondelles of this pendant are just gorgeous! Very high quality gemstones with beautiful color and clarity. Very minimal natural inclusions visible. They make for a very special, very elegant pendant. ** Exact pendant pictured has sold. YOURS WILL BE HAND MADE UPON RECEIPT OF ORDER and will have a little bit of natural variety in it - just like a real tree! - making it beautifully unique. Please see "Ready to ship in" time notice by the shipping info. A lovely gift for someone who is born in August or who just loves the amazing color of Peridot. It is a gorgeous stone and makes for a striking piece when worn! 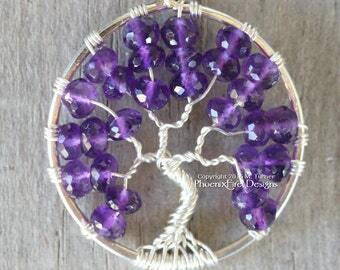 Or looking for Trees made from other birthstones?